Trish’s Teaching Session is no longer active. If you missed this learning session or would like to hear it again, the 2016 Tele Summit is available for purchase here. 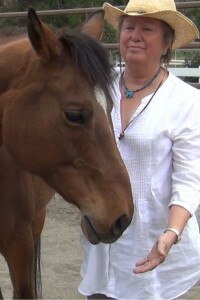 Trish Broersma has been a therapeutic riding professional since 1988. She spent eleven years developing and conducting an innovative equine assisted learning program in human development for at risk teens and adults in transition, published in 2007 by New World Library in Riding into Your Mythic Life: Transformational Adventures with the Horse. Since then her work has focused on deepening the horse/human relationship for global purposes, with an emphasis on body-based modalities, the power of story, and liberty training with horses for eliciting their willingness, wisdom, and enthusiasm for interactions with people. Trish says, “In recent years, my work has become increasingly focused on a radical, heartful partnership between horses and humans for the benefit of creating a viable future for our world. In these times of upheaval and change, horses are stepping into a new role in the community of mankind to assist us in this vital task. It is a mutual evolutionary journey. Trish founded and operated two PATH Premier Accredited Centers, one in San Antonio, TX, and the second in Ashland, OR. She is a certified PATH Therapeutic Riding Instructor, a certified PATH Equine Specialist, and a faculty member for the PATH Equine Specialist Certification Program. She is past president of the Equine Facilitated Mental Health Association, and is currently serving on the PATH Equine Welfare Committee. Trish has presented at Prescott Best Practices conference, Horse Power, PATH national and regional conferences, EGEA conferences and at Equitana Melbourne, Australia. Her articles are published in Practical Horseman and Dressage Today. She holds a Master of Arts in English Language and Literature from the University of Michigan, with post graduate work in international community development with the Institute of Cultural Affairs, and 25 years association with Jean Houston of the Foundation for Mind Research and Peggy Rubin of the Center for Sacred Theatre. 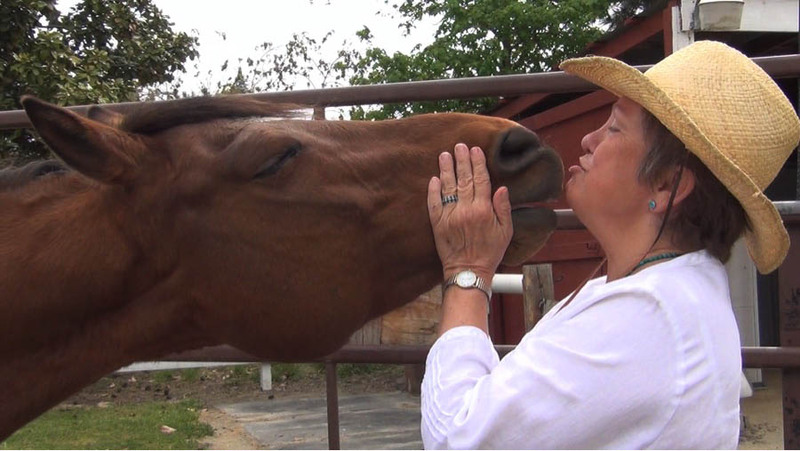 She conducts Journey Horse, modern day vision quests exploring the power of the horse/human connection, in the US and Australia, as well as trainings in this process for professionals. In fall of 2013, she established Riding Beyond in Ashland OR, for women recovering from the effects of breast cancer treatment. See Riding Beyond and Trish Broersma’s website for more information. Like the Facebook pages for Trish Broersma and Riding Beyond. Life After the Tele Summit ~ And Before the Symposium! Krista Carroll-Venezia on Why Horses?